When I started planning a trip to Ireland for the very first time, I didn’t know what I would need to plan a trip. Now, I have dozens of sites bookmarked and items I’ve purchased over and over again. 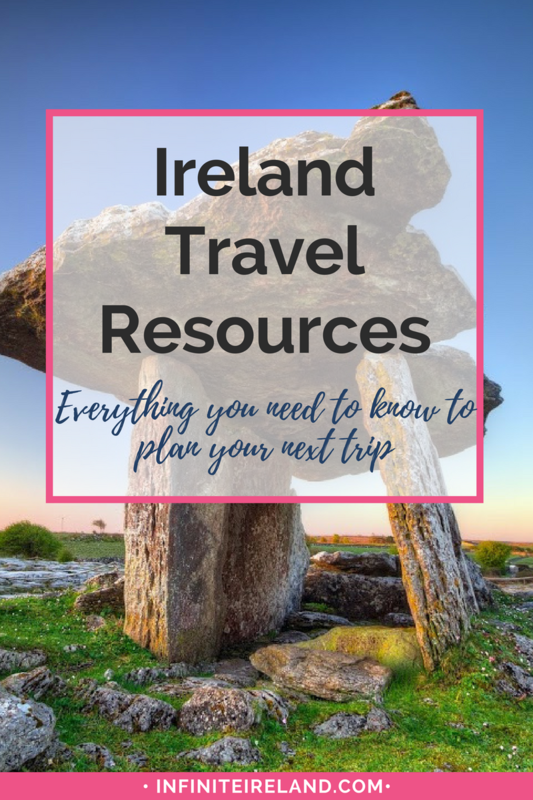 I decided to put it all together on this Ireland Resources page along with my favorite Infinite Ireland posts. I really hope that what we use and why we use it is useful to you as you plan your first trip to Ireland. Before you begin perusing the awesomeness that is below, I want you to know that the trust my readers have in this site and the relationships I build with you are invaluable to me. I am so proud to only endorse products and services that I believe are worthy, not because somebody paid me to like it. I don’t accept sponsored posts or payments. I want you to be empowered to choose whether or not you support Infinite Ireland. 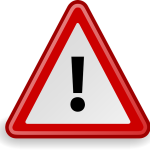 This is why you will see two links in some of the listings below. One link is an affiliate link disclosed by “affiliate.” The other is a traditional link. Both will take you to the exact same page for the product with the exact same price. If you click on an affiliate link or an image next to one and make a purchase, I will receive a small commission. No matter which way you click, the price is exactly same. There are no extra charges and no obligations to buy anything if you click the affiliate link. If you do choose to check out the affiliate links, thank you, thank you, thank you!! Every little bit helps to support the work I do with Infinite Ireland. With so many options, deciding where to stay can be a little overwhelming. This Infinite Ireland page gets you started with info about B&B’s, Castles and Manor Houses, Self-catering, and alternative accommodations. Trip Advisor (Affiliate) (Non-Affiliate) I am a huge fan of Trip Advisor primarily because of the knowledgeable and super helpful Destination Experts in its Ireland forums. I also like to check reviews of B&B’s before I book (keeping in mind that not all reviews are created equal). If a place is really great (or really bad) it will often show through in multiple posts. Simply said, a Google search for “B&B + town name” will give you plenty of results to start your accommodation search. When you click on each, look for plenty of pictures, descriptions for what is included in your room (hair dryer, wash cloths, etc. ), and information about the owners. A good B&B should have all of that and more on their page. 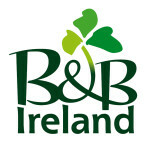 B&B Ireland is another really great site for booking B&B’s. There are many family run B&B’s that use B&B Ireland to help them book reservations securely and keep track of their reservations. Sometimes you can also email a B&B owner to book directly, but to avoid sending credit card numbers through email or making an international call, booking through B&B Ireland is a nice option. Air BnB (Affiliate) (Non-Affiliate) may be one of my favorite ways to find cheap accommodation. Basically, it allows people to open their homes to visitors. In Ireland, those listing their rooms could be actual B&B owners certified by Failte Ireland or it could be someone who simply has an extra room open and enjoys the company of visitors. We have used AirBnB in Ireland, NYC, Boston, Oregon, and even in our hometown in Pennsylvania while apartment searching. The cost is often cheaper than a traditional B&B but you still get the warm hospitality of someone opening their home to you (with or with out the delicious breakfast!). Because someone is giving you the keys to their house, be sure to fill out the profile section so they can get to know a little about you before you arrive. You can also read about them on each listing. Side note: if you use the affiliate link you should get at $20 discount for your first booking (you’re welcome :-). Aer Lingus is the national airline of Ireland and offers many flights from the US to Ireland. I like booking directly with an airline versus an aggregate site because I might have a little more wiggle room if our plans happen to change (not much, but more than I would if I booked from a site like Travelocity, Orbitz, etc.). The best way to see Ireland is by car. But, one of the most confusing things about traveling to Ireland is the car rental process. We’ve dissected it for you and explained every piece. This super long post is thorough and will hopefully clear up any confusion. Creating an itinerary is tough, especially if you have a lot of things you want to do in a just few days. It is also difficult if you don’t know where you want to go, but know you HAVE to get to Ireland! This is the process we use to plan our Ireland itinerary and is easy to follow when you are just starting out. Dan Dooley When booking our rental cars for Ireland, usually price matters most. We always get the super inclusive insurance so if something unfortunate does happen we are covered, but that also means that our rental vehicles are typically expensive. Therefore, a clear upfront quote is really important. With Dan Dooley, the price I am quoted is the price I am going to pay at the counter. No other car company offers this service and it saves me a lot of extra calculations (like # of days multiplied by Super Collision Damage Waiver + Airport Fee, One-way Fee…you get the idea). Ordnance Survey We love Ordnance Survey maps. There really isn’t a better map of Ireland for driving, hiking or simply planning. You can choose a map for the entire country of Ireland or small regions with very rural roads displayed. Joe and I even have a few maps for mountains we walked like Mount Brandon in Dingle and Slieve League in Donegal. If you buy online, notice the price is in Euros and the shipping may take a bit longer since it coming from Ireland. Ordnance Survey maps can also be found in gas stations, book shops, souvenir shops and tourism offices in Ireland. Want to know how much a trip to Ireland cost? I’ve talked about it a lot and made many posts about it over the years. Here they all are in one handy place. When is the best time to go to Ireland? Sometimes when you go can have a lot to do with how much money you will spend (read: it is cheaper outside the months of June, July and August). In this post we talk about when is the best time of year to go and what the weather is like. Tips for saving money. Tips for packing. Tips for travel to Ireland. 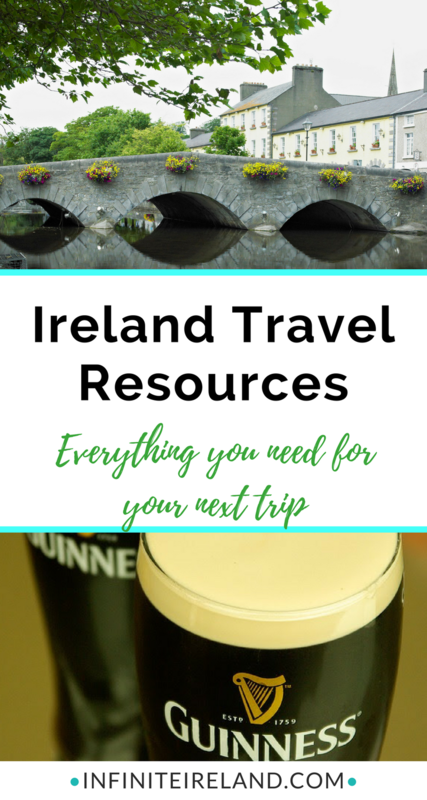 You get all of my best tips in these posts: 31 Practical Tips for Your Trip to Ireland and 31 Ireland Travel Tips You Won’t Find in an Guidebook. 41 websites to bookmark for your trip to Ireland including several that will help you save some money on attractions and car rental. 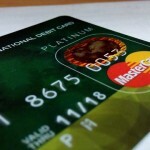 Best Debit Cards for Avoiding Foreign Tra nsaction Fees Your debit card/ATM is the best (and cheapest) way to get money in Ireland. However, fees vary by bank and can really add up. Be so be sure to check with your bank or credit union to determine how much they charge. If it is a lot and you have time, you may want to check out your other debit card options. Joe and I have an account with a local credit union just for our travel fund that doesn’t charge anything to withdraw cash abroad. This Currency Converter tool is handy to help you figure out the conversion from Euros to Dollars or any other currency. Packing Cubes (Affiliate) (Non-Affiliate) If you can’t tell already–I am a type A traveler and that also applies to my packing style. I love that I discovered packing cubes. They really help me stay organized while in Ireland. I can stuff my clothes, socks, electronics, and all sorts of other odds and ends in these babies. After we arrive at a new B&B and I open my suitcase, it doesn’t look like an apocalyptic mess anymore. By the way, save the clear zippered packaging from new sheets or curtains for a quick and cheap substitute. Ear Plugs (Affiliate) (Non Affiliate) Definitely not the sexiest item on this list, but I don’t travel anywhere without these babies. I hate having things in my ear, but I hate not being able to sleep on a plane or in a noisy hotel room more. I’ve tried at least 10 different types of ear plugs and I think these are the best. They are basically what I remember as a kid my mom putting into my ears when we were swimming to block out the water. They do a pretty great job of blocking out the noise too. There are six pair in each pack but I use one plug for both ears because they are pretty big. Eagle Creek Backpack (Affiliate) (Non-Affiliate) I am not a purse girl, especially when I am traveling. The straps always slide off my shoulders and I tend to leave it around where I shouldn’t. I prefer a small backpack that keeps my hands free and my stuff secure, particularly my journal, snacks and water bottle. We purchased a similar small Eagle Creek backpack about 8 years ago and it is still rock solid. I’d say it even looks new despite my inclination toward clumsiness. Woman’s Columbia Waterproof Jacket (Affiliate) (Non-Affiliate) This is my exact jacket for Ireland and I love it. It’s lightweight and roomy enough to have layers underneath. My favorite part has to be the hood because hoods are always too big on me, but this one fits and has a slightly longer lip at the top, which keeps the drizzle away from my face. Men’s Columbia Waterproof Jacket (Affiliate) (Non-Affiliate) The same jacket above for men. Women’s Hiking Shoes (Affiliate) (Non-Affiliate) Shoes are little different from jackets or backpacks–you certainly wouldn’t want to order these without going to store to see if they fit. But if you are new to hill walking in Ireland and want a solid shoe, this is as good a place to start as any I suppose. Both Joe and I have Columbia hiking shoes and find them really comfortable. Merrell shoes are also quite nice. If you are a casual hill walker and aren’t doing much elevation climbing you should be able to get away with a running/walking shoe. Men’s Hiking Shoes (Affiliate) (Non-Affiliate) A Columbia hiking shoe for men. This one is waterproof. Ours aren’t, but there have been many a hill walk that I wish ours did a better job of keeping the water out. 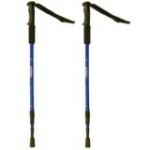 Walking Sticks (Affiliate) (Non-Affiliate) We bought our walking sticks in Ireland at a Dingle sports store. I wish we would have bought them prior to our trip because they were expensive. So expensive that we only bought one set and each took one pole. For each trip in Ireland, we pick a mountain to climb like Mount Brandon in Dingle, Errigal Mountain in Donegal, or Knockanaffrin in Waterford. I wouldn’t have done any of those without a walking stick–they really help save our knees especially on the way down. If you aren’t doing much ascending or descending on uneven terrain on your hill walks, you probably don’t need a walking stick. Small Collapsible Duffel (Affiliate) (Non-Affiliate) This may be my favorite item. A collapsible duffel bag is the perfect place to store dirty laundry, souvenirs or the overflow that occurs when everything was perfectly in its place before you left but somehow doesn’t fit in your suitcase anymore. 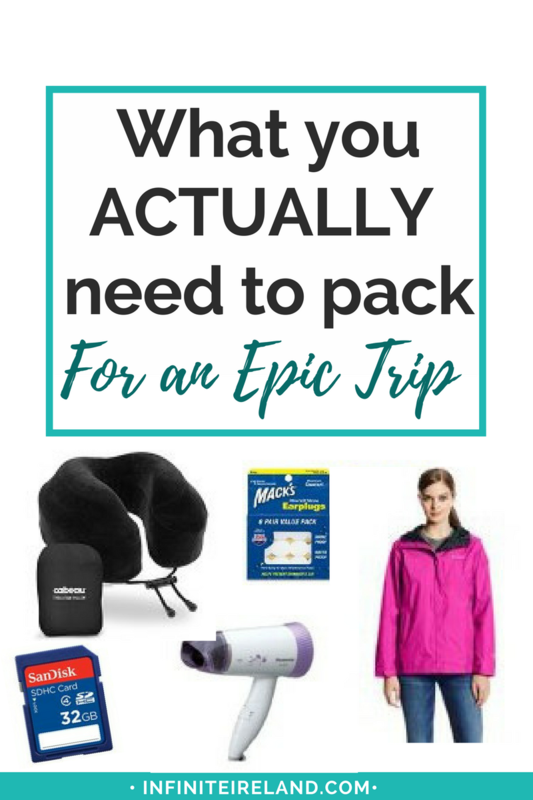 I shove mine in a top zipper of my luggage and pull it out a couple of days into the trip to help keep me organized. Large Collapsible Duffel Bag (Affiliate) (Non-Affiliate) How many souvenirs you plan to buy may determine how big of a bag you need. :-) I like to have two different sizes especially so we have something that houses our dirty laundry for when we drop it off at a laundrette. Luggage (Affiliate) (Non-Affiliate) I seem to collect pieces of luggage. I am pretty sure that the title of travel coach basically screams “give me luggage for Christmas and birthdays.” I am not complaining though. I actually love rummaging through the entire section of luggage in my basement to find the perfect piece for each trip. My favorite go to is the medium suitcase (not a carry-on, but not the big, big one either) with an expandable zipper. I like the soft shell exterior, but I haven’t tried a hard one (I think luggage is heavy enough without the hard case). Travel Journal (Affiliate) (Non-Affiliate): There is honestly no better souvenir than your very own thoughts from your time in Ireland. Someone had given us a journal for our honeymoon, our very first trip to Ireland. I was diligent about writing what we did, where we ate and how we felt. It is one of my most valued possessions. We’ve kept the tradition up for the most part but, I will be honest, there have been trips when I wasn’t as steadfast. I’ve always regretted it later. Get a journal. Write in it. You will treasure it forever. I promise. Travel Pillow (Affiliate) (Non-Affiliate): I am not a terrible sleeper on overnight flights. I can usually conk out for the time that the lights are out between meal services. However, I will say that a good pillow helps. I picked this one up on a whim at Newark Airport several years ago. It is expensive (well at least I think so), but I have taken it on every flight since (I am shocked I haven’t lost yet). It squeezes into a small case and I usually attach it to my backpack/carry-on so it’s not taking up any valuable space in my luggage. 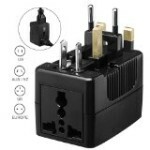 Travel Adapter (Affiliate) (Non-Affiliate) A travel adapter is really important as the plugs in Ireland are different from the US or most of the rest of the world. We have a universal adapter that we use to charge our electronics. If you have multiple phones, cameras or laptops in the family, bring along a power strip (affiliate link) to charge more than one item at once. No matter what you are charging monitor how much heat your item gives off just to be safe. 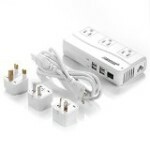 Travel Converter (Affiliate) (Non-Affiliate) Most of the time an adapter will be all you need for your electronics in Ireland. But if you are charging anything with a motor (say an electric shaver) or something that produces heat (for instance a curling iron or hair dryer–see below), you will need a converter to protect the item that you are running and the electric system you are running on. Unlocked Phone (Affiliate link) (Non-Affiliate) One of the most common questions about traveling in Ireland how do I use my phone? There are lots of different ways to communicate home and wrote a whole post about them, but the one I have used not only in Ireland, but also everywhere else I travel internationally, is buying a local sim card when I arrive and loading it into my unlocked cell phone. I get a local number with minutes and data that I can top up as I need. The best part about this is that once I have purchased the phone I can use it on multiple trips wherever I go. Plus since it is a smart phone I can use it on wifi at my B&B for free to call home. One last note, I like my iphone as it can double as a nice camera in a pinch. 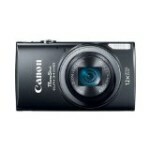 Canon Power Shot Elph Camera (Affiliate Link) (Non-Affiliate) If you are looking for tiny camera that you can slip into your pocket but still takes good landscape shots–this is your go to. I am a big fan of the Elph line, using several different versions over the years. It is a consistently good camera and I don’t need to carry an extra bag for it. Battery Packs (Affiliate) (Non-Affiliate) The only thing that I don’t like about the Elph camera is the need for extra batteries. Although, it really could be my fault and not the camera. It is just so hard not to scroll through all the pictures I take! :-) We have two extra batteries that are kept charged in my camera case. Canon DSLR Rebel (Affiliate) (Non-Affiliate) I picked up a Canon DSLR camera a couple years ago. Man do I love it. I was a complete beginner, and yes, I shot in auto and the other presets quite a bit. I have slowly gotten better and it has become my everyday camera (even though DSLR’s are generally big). I just love how the photos come out so crisp. I bought mine used on Craig’s list so check there first. You never know gems you might find second hand. Memory Card (Affiliate) (Non-Affiliate): This one is simple. Unless you are solely using your cell phone for photos, you’ll need some place to store the pictures you take. I like a SD card with a lot of storage. I tend to go with the philosophy that the more pictures I take the better. I can delete the bad ones out after I get home. Back Roads Ireland (Affiliate) (Non-affiliate) Joe surprised me by purchasing this Back Roads Ireland book for our trip in 2014. Usually I am not a big fan of pre-determined itinerary travel guides, but I have been really happy with how this book is laid out. It has become my new go to Ireland travel book. Like all the DK Eyewitness guides, there are lots of pictures and great descriptions. What’s different about Back Roads is its really great advice on how to string a series of places together in one itinerary. It even has driving directions between locations. We didn’t use that so much, but you easily could lean on this as your primary resource while traveling in Ireland. DK Eyewitness Travel Guide: Ireland (Affiliate) (Non-Affiliate) This is my favorite travel book about Ireland for first-timers. When you don’t really know where to go or how to even start planning. I always suggest taking a look at an Eyewitness Travel Guide and write down the places that get you super excited and make you say “I want to go there!” After you’ve done that, you can begin digging a little deeper and using other guidebooks to find out more and round out your itinerary. Our local library has a bunch of Eyewitness and other guide books. Always check out your options to get free information from there too. Frommer’s Ire land (Affiliate) (Non-Affiliate) Frommers is another good guidebook, but it is largely text-based (vs. lots of pictures like Eyewitness). I find their guides useful when I already know the areas I want to look-up. If you don’t already know it can be difficult to retain or differentiate what you read from one paragraph to the next. Frommer’s recommendations are usually spot on and their star system is pretty accurate. Mostly good stuff gets in the guide, the best gets one, two or three stars. There are other designations to look out for like “Value”, “Kids” and “Finds.” There is also an “Overrated” designation, but you will rarely notice it listed. I suppose if they list only great places, the overrated shouldn’t be in there at all, right? Fodor’s Ireland (Affiliate) (Non-Affiliate) Fodor’s is very similar to Frommer’s. One thing that separates this guide from the rest is they only have one rating, Fodor’s Choice, which is reserved for their very best recommendations. I like this a lot because it doesn’t leave any guess-work. Best of the best it is! Irish Coastal Walks, 54 Walks Around Ireland’s Coasts (Affiliate) (Non-Affiliate) by Paddy Dillon. This out of date book is my favorite hill-walking guide for Ireland. It was published in 2001. So yeah. It really is out of date, but the descriptions of the types of walks, the scenery, views, etc. are spot on. I almost always use it for my initial research and then I find the walk on Mountain Views or in a Collins Press Guide (see below) to read other reviews and make sure landmarks haven’t changed. Collins Press Walking Guides: If you are truly interested in spending a day or two in Ireland doing a little hill walking, pick up one of these guide books. They are invaluable during the research stage, but even more so when you are actually on a hike–describing landmarks, turns, streams, etc. There are several books and at least one for each region of Ireland. We are getting quite the collection now. They are so pretty all in a row, making our haphazard Ireland bookshelf look like there is some semblance of order. Birds of Britain and Europe (Affiliate) (Non-Affiliate) by Jurgen Nicolai, D. Singer, and K. Wothe. We picked up a bird guide to Europe when we were headed to Great Saltee Island, home to many species of birds off the coast of south-east Ireland. The book ended up being a great find and really useful. Joe was even able to chat with our fellow Saltee Island visitors who were clearly avid birdwatchers because of it. He felt pretty smart that day. Trees of Britain and Europe (Affiliate) (Non-Affiliate) by G. Aas and A. Riedmiller. When we picked up the bird guide, we also bought this tree book too, because, well, why not? It was only a few euros and Joe is always interested in the differences between the trees in Ireland and at home. This one is another Collins Press book and we seem to be getting quite the collection of them. Just like the others, it is well organized and has expert descriptions and illustrations. A Secret Map of Ireland (Affiliate) (Non-Affiliate) by Rosita Boland. Think travel guide meets memoir. Rosita travels to all of Ireland’s counties looking for the unique, historic, and even the strange. While I can’t say I wanted to visit every place on her list (I am talking about you, preserved arm of bare-knuckle boxer, Dan Donnelly), I did add a few interesting places to my ever-growing bucket-list. More than anything though, I really enjoyed the stories she shared and simply going with her to discover the new and the old in each county in Ireland. I’ll Know It When I See It, A Daughter’s Search for Home in Ireland (Affiliate) (Non-Affiliate) by Alice Carey. I’ll be honest, I am quite jealous of Americans who can trace back their heritage to Ireland in only a few generations. Alice Carey can. She is the only daughter of two Irish immigrants growing up in Queens, New York. Alice later returns to Ireland with her husband only to fall in love with Ireland and make it their home. After traveling to Ireland, I relate with so many of her feelings of home and belonging in Ireland. Angela’s Ashes (Affiliate) (Non-Affiliate) by Frank McCourt. Angela’s Ashes opens with “When I look back on my childhood I wonder how I survived at all. It was, of course, a miserable childhood: the happy childhood is hardly worth your while. Worse than the ordinary miserable childhood is the miserable Irish childhood, and worse yet is the miserable Irish Catholic childhood.” In a nutshell, this is Frank’s growing up story. His voice is so strong and his writing so powerful that each time I think of Angela’s Ashes my memory fills with scenes from his rough and disturbing early life. His story is the story of so many in Ireland during the 1930’s, which is why I think it is so important to read. Ireland: A Novel (Affiliate) (Non-Affiliate) by Frank Delaney. I listened to Frank Delaney’s Ireland on audio book and it was wonderful! Whether you are interested in Irish history or just like a really good read, this book (or audio download) is worth the investment. Delaney weaves dozens of story lines in and out of this historical fiction book. From the country’s turbulent history to the strong tradition of storytelling, I was completely hooked, entertained and even learned a bit in the process. Climbing Brandon, Science and Faith on Ireland’s Holy Mountain (Affiliate) (Non-Affiliate) by Chet Raymo. On our first trip to Ireland, we spent a day in Dingle town. We drove up Connor Pass and got a glimpse of Mount Brandon. Joe vowed that he would return to climb it on our next trip and we did. So, we picked up this book to learn a little about the significance of the holy mountain. Climbing Brandon is right up Joe’s alley because the author reflects on the conflicts (and similarities) between religion and science, two of his favorite topics. Raymo describes the history, the folklore and the geography of Mount Brandon, which for us was especially interesting because the Dingle Peninsula is one of our favorite places in all of Ireland. The Brendan Voyage, Across the Atlantic in a Leather Boat (Affiliate) (Non-Affiliate) by Tim Severin. Did St. Brendan sail in a small leather boat to America? Well, I suppose we still don’t know. But author Tim Severin proves it was possible. A beautifully written story of adventure and triumph (ha–I should write movie trailer scripts! ), Severin describes the sailing of the Irish monk, St. Brendan, from Ireland to Newfoundland and reenacts the feat himself. It’s a really great read. Barnacle Soup (Affiliate) (Non-Affiliate) by Josie Gray and Tess Gallagher. One of my absolute favorite books that demonstrates how much culture and everyday life is captured by the Irish storyteller. Josie Gray lived in the west of Ireland and preserves the oral Irish storytelling tradition-think, backroom of a pub around a crackling fire with a pint in hand or cold windy night gathered at a neighbor’s house listening to stories of legends, myths and times gone by. Tess Gallagher, a well-known poet, captures the oral tradition in written form for those of us not blessed to be born on the Isle with our own storyteller to listen to. The Islandman (Affiliate) (Non-Affiliate) by Tomas O’Crohan. Joe and I spent a day hiking out on Great Blasket Island off the coast of the Dingle Peninsula in County, Kerry a couple of years ago. Still after several trips and many amazing experiences, I think exploring Great Blasket is among my top five favorite days in Ireland. The island is hauntingly beautiful. You can walk through the derelict houses and roam the once farmed fields, imagining the difficult way of life this remote island provided. After our day trip to the Island, Joe and I bought The Islandman to learn first-hand about life on Great Blasket. Tomas O’Crohan lived and died on the Island from 1865-1937. We found his reflections to be an excellent accompaniment to our visit to the Dingle Peninsula and Great Blasket. Note, it isn’t the easiest to read due the translation and dialect of the time. An Old Woman’s Reflections: The Life of a Blasket Island Storyteller (Affiliate) (Non-Affiliate) by Peig Sayers. Another fun resource if you are planning a day trip to Great Blasket or simply love traditional Irish storytelling. Peig was born on mainland Ireland and married a Blasket man. She describes adjusting to life on Great Blasket as dismal, difficult and full of loss. But her stories are also marked with a strong sense of community, pride and perseverance. After traveling to Great Blasket and reading Peig’s stories, I could picture her looking out across the ocean waves, willing her sons to return home from fishing on the rough seas each night. I tried to picture myself doing the same. I’d like to think I would have a strong enough constitution to survive on that remote isle. But, I am not sure I would. Peig was one impressive woman. The Course of Irish History (Affiliate) (Non-Affiliate) by T.W. Moody, F. X. Martin, D. Keogh and P. Kiely. When Joe and I went through our books to put on this page, he picked up The Course of Irish History and said, “I need to read this again.” I looked at him blankly because, well, this book is more of a textbook you might find in a college Irish Studies course than by my bedside. But, it is thorough and accurate and totally up a history buff’s alley. It’s perfect if you are interested in learning all about Irish history (and don’t mind that it might be a little dry). The next few books are often at my bedside because I absolutely love Irish fairy tales, myths and legends. Each time we go to Ireland we pick up a new children’s book. Note–we don’t have children. We just love the culture, history and legends that are so wonderfully presented in these books. There are two requirements for us to purchase a fairy tale type book–it must have at least a few new stories and have awesome illustrations. Those on this page are our favorites. Because of the great story telling and truly talented illustrations, we regard these books as some of our most treasured keepsakes. The Ink Garden of Brother Theophane (Affiliate) (Non-Affiliate) by C.M. Millen, Illustrated by Andrea Wisnewski. The Ink Garden of Brother Theophane is our newest addition. Inspired by illuminated manuscripts like the Book of Kells, the author tells of a young monk in the middle ages who discovers new ways to put a little color into a colorless world. The Keeper of the Crock of Gold, Irish Leprechaun Tales (Affiliate) (Non-Affiliate) by Bairbre McCarthy, Illustrated by Oldrich Jelen. The Keeper of the Crock of Gold is a collection of Irish leprechaun tales. If you aren’t familiar with leprechauns, they are little tricksters! The mischievous little shoe-makers guard the pot of gold at the end of the rainbow and, when others stumble upon them, mayhem almost always ensues. There are 10 stories in this book–all are unique and surprisingly engrossing for kids and adults. Irish Tales of Mystery and Magic (Affiliate) (Non-Affiliate) by Eddie Lenihan, Illustrated by Alan Clarke. Lenihan and Clark do a wonderful job portraying many traditional Irish tales in this book including a few stories featuring Fionn Mac Cumhail and Taoscan Mac Liath. If you plan on reading this book aloud to children, many names and places mentioned can be hard to pronounce. I wish I could tell you that I knew how to pronounce them myself, but I don’t–at all. We do our best to sound them out and just go with it. There is a cool glossary in the back that helps define some of the Irish words that appear throughout. This is totally worth the purchase if you want traditional tales passed down for centuries throughout Ireland while enjoying often humorous and always talented illustrations. Tales of Irish Enchantment (Affiliate) (Non-Affiliate) by Patricia Lynch, Illustrated by Sara Baker. One of the newest additions to our collections, Tales of Irish Enchantment reminds me of Brother’s Grimm fairy tales. They don’t always have a happy ending, but they are always entertaining to read. These 6 stories are quite long and have fantastic illustrations that keep your eyes moving about the page to find every smile provoking image. House on an Irish Hillside (Affiliate) (Non-Affiliate) by Felicity Hayes-McCoy’s memoir, House on an Irish Hillside, is my favorite Ireland read to date. Even though it was published in 2013, with all of the accolades, I just picked it up during our 2017 trip to Dingle. The story centers around Felicity’s life and finding “home” on the west of the Dingle Peninsula. However, it’s her language. Her descriptions. Her heart-aching relatable story that gets me. And anyone who has found (or longs to find) a piece of home in Ireland will instantly fall in love with this book. If you are going to Ireland, you should be able to find this book in many of the local shops. If you go to Dingle specifically, you’ll probably be able to find a signed copy. Let’s See Ireland (Affiliate) (Non-Affiliate) by Sarah Bowie: The newest book to our children’s collection is Sarah Bowie’s fun account of a little girl traveling around Ireland with her family. It was completely fitting to nab this one during Alexander’s first trip to Ireland. We even wrote a little note in it to him as his first-trip souvenir. 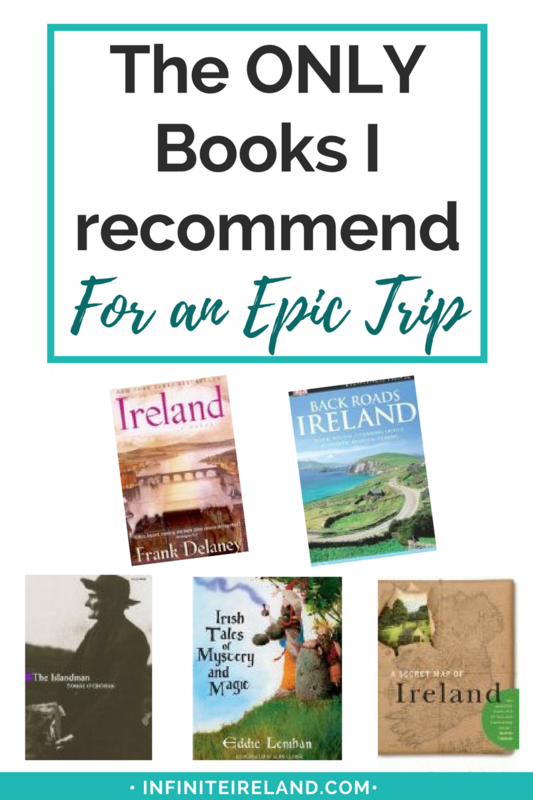 I could see this being a great book to read to a little one prior to traveling to Ireland to get them excited about all the things that they might see (and I seriously enjoyed finding the cat, Mipsy, on every page). U2 by U2 (Affiliate) (Non-Affiliate) by Bono, The Edge, Adam Clayton, and Larry Mullen Jr. Ok–so call it cliché, but both Joe and I are U2 fans. We weren’t until Joe’s cousin gave us a greatest hits CD as a part of a wedding gift. She knew we were going to Ireland for our honeymoon. Little did she know, we listened to it almost the whole time we were in Ireland (we didn’t find much on the radio). They’ve become a staple in our house and this coffee table book is quite a fun read if you’re a fan. If not–well don’t hold that against us. The Secret of Kells (Affiliate) (Non-Affiliate) I absolutely love this animated movie. This quirky film wraps you up in the story of the Book of Kells by way of a mischievous little boy and his stern uncle. If seeing the Book of Kells at Trinity College is on your list of things to do in Dublin, this quick film does a great job describing the beauty and trials of the illuminated manuscript and is worth a watch before you go. The Wind that Shakes the Barley (Affiliate) (Non-Affiliate) Shew…this is a tough movie and it took a lot for me to get through it, but I did and I am glad for it. If you don’t know much about the fight for Irish independence, I suppose this is as good a place as any to begin learning. While a fictional story, The Wind that Shakes the Barley gives a very real feeling of what it must have been like to live in rural Ireland in the 1920’s—yikes! Philomena (Affiliate) (Non-Affiliate) Philomena is worth watching just for the scenery of Ireland alone, but luckily Judy Dench gives a solid performance of a mother looking for her son after ‘giving him up’ at convent for fallen women in 1952. Touching and heartbreaking. The Secret of Roan Inish (Affiliate) (Non-Affiliate) One of the very first movies that I watched about Irish culture and myths was the Secret of Roan Inish by recommendation of my very proud Irish American supervisor. After watching this movie and visiting the remote county of Donegal, I might be a believer of more than a couple of Irish legends myself. Once (Affiliate) (Non-Affiliate) Break out the tissues! I am not one for ranking my favorites of things, but honestly, this may truly be my favorite movie–it’s definitely in the top 5. It is real, I’d say even raw, somewhat sappy, and has a fantastic score. Plus, it was filmed on a low-budget Handycam in Dublin and surrounding areas. What are you waiting for? Go watch this movie! The Irish Pub: Now this one is a documentary and so much fun to watch! I absolutely loved it. You don’t have to be a big drinker to enjoy or appreciate Irish pub culture. This documentary visits several traditional Irish pubs, talking with the owners and their families about their experiences, traditions, and even the outlook for pubs in Ireland. I particularly appreciated that they had to use subtitles for a couple interviews where the publicans had such strong Irish accents. Travel Insurance is a very personal decision. Joe and I rarely use trip insurance, but (and this is a big BUT) we can never be too careful. We ALWAYS reevaluate our needs each time we plan a trip. Both of us have excellent health insurance though that covers international incidents. Because we often use points, we can typically change our flight schedules without losing money. So, most of the time we don’t need to purchase travel insurance. If you don’t have great health insurance and aren’t willing to lose the entire cost of your flight if you cancel, I would seriously consider travel insurance especially a policy that covers cancellations for any reason. Below are two companies that are helpful when considering travel insurance. There are many providers so do some research, pick a policy and then relax (because, YAY!, you are going to Ireland soon!!). Square Mouth (Affiliate) (Non-Affiliate) Square Mouth is an aggregate travel insurance site that allows you to get several detailed quotes without having to contact multiple providers. It will show you the lowest prices and every detail about each policy. Be sure to click policy details for the scoop about each. World Nomads (Affiliate) (Non-Affiliate) World Nomads is one of the most trusted travel insurance providers. 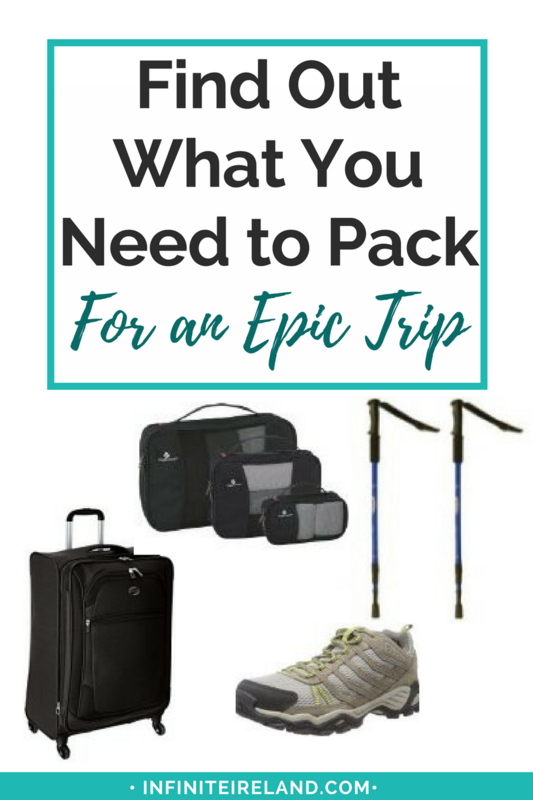 I know many travelers use them for short trips for just a few days, medium trips from 1-3 weeks and even long-term adventures around the world. They are listed separately here because their quotes don’t often come up in Square Mouth searches. Travel Coaching: Work with me one-on-one! The best part about my job is getting to live vicariously through other people’s trips. Everyone has different needs and interests (and questions!). I am not a guru, but I do have my own personal experiences to share. I’d love to be a part of your Ireland experience. One final note: I, unfortunately, do not own or have any influence over these companies. 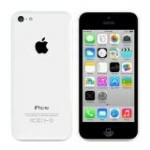 You will need to speak with the company directly to resolve any issues with a product or service. However, I genuinely love everything listed above and are more than happy to provide details about our experiences with them. I take my recommendations very seriously, so feel free to contact me with any questions.